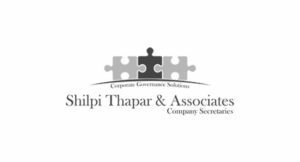 All companies registered in India including private limited company, one person company, limited company, section 8 company, and others are required to file annual financial statements and annual return with the Registrar of Companies, Ministry of Corporate Affairs each year. As per section 164(2) read with section 167 of The Companies Act, 2013 which is effective from 1.04.2014, Directors of Companies who have defaulted in filing an annual return or financial statement continuously for a period of 3 years are liable for disqualification on account of default by a company. On disqualification, the Director would be unable to incorporate a new company or act as Director of an existing company for a period of three years. As per Rule 14, of the Companies (Appointment and Qualification of Directors) Rules, 2014, it is the duty of every director to inform to the company about his disqualification if any u/s. 164(2) in Form DIR-8. Consequent upon the notifications of provisions of section 164(2), MCA has launched the Company Law Settlement Scheme 2014 providing an opportunity to the defaulting companies to clear their defaults within the time period specified therein and following the due process as notified. Ministry of Corporate Affairs(MCA) identified 3,09,614 directors associated with the companies that had failed to file financial statements or annual returns in the MCA21 online Registry for a continuous period of 3 years 2013-2014 to 2015-2016 in terms of provisions of section 164(2) r/w 167(1) of the Act and they were barred from accessing the online registry and a list of such directors was published on the website of MCA. This has invited lots of representations from Industries and defaulting companies and their directors to give the opportunity to the defaulting companies to become compliant and normalize operations. Even the lots of writ applications are filed by affected persons before various high courts seeking relief from the disqualification. In order to give an opportunity for the non-compliant defaulting companies to rectify the default, Central Government in an exercise of its powers conferred under section 403, 459 and 460 of Companies Act,2013, introduced the scheme namely “ Condonation of Delay Scheme 2018” (CODS-2018) vide General Circular no. 16/2017 dated 29.12.2017. The Condonation of Delay Scheme will be operational from 1st January 2018 to 31st March 2018 – a period of three months only. The scheme is applicable to all defaulting companies other than the companies which have been stuck off/whose names have been removed from the register of companies under section 248(5) of the Companies Act,2013. Section 248(1)(d) of the Act, where ROC has reasonable cause to believe that, among other things, a company has not done any business or operation for a period of two immediately preceding financial years AND has not applied for a status of dormant company u/s.455 of the Act. For this purpose, defaulting companies means company which has not filed its financial statements or annual returns as required under the Companies Act,1956 or Companies Act,2013, as the case may be and the Rules made thereunder for the continuous period of 3 years. So companies who have not filed either of the document financial statements or annual return can take benefit of this scheme. The directors of this defaulting companies are disqualified u/s.164(2)(a) of the Companies Act, 2013 (the Act). It means such directors are not eligible to be re-appointed in the defaulting company or appointed as a director in another company for a period of five years, from the date on which the defaulting company failed to file said documents, i.e. last due date for filing of annual return or financial statement for the third consecutive year i.e November 2016 for the financial year 2015-2016.And due to disqualification of a director u/s.164(2)(a), such directors cease to be directors u/s.167(1)(a) of the Companies Act, 2013. No other documents except stated above can be filed under this scheme. (iii) The DINs of the Directors associated with the defaulting companies that have not filed their overdue documents and the eform CODS, and these are not taken on record in the MCA21 registry and are still found to be disqualified on the conclusion of the scheme in terms of section 164(2)(a) r/w 167(1)(a) of the Act shall be liable to be deactivated on expiry of the scheme period. (iv) In the event of defaulting companies whose names have been removed from the register of companies under section 248 of the Act and which have filed applications for revival under section 252 of the Act up to the date of this scheme, the Director’s DIN shall be re-activated only NCLT order of revival subject to the company having filing of all overdue documents. The Registrar concerned shall withdraw the prosecutions pending if any before the concerned courts of all documents filed under this scheme except actions taken u/s. 167(2) of the Act or any civil or criminal liabilities if any arises for such disqualified directors during the period they remained disqualified. Here, the pertinent questions arise that if director whose din no is temporarily activated sign the forms as directors, he will be violating provisions of section 167(2). At the conclusion the scheme, the Registrar shall take all necessary actions against the defaulting companies who have not availed themselves of this scheme and continue to default. In the Companies (Amendment) Act, 2017, the provisions of Sec.403 are substantially modified and on commencement of modified Section 403 any delay in filing after the prescribed period not only will attract additional fees of not less than Rs.100 per day for every document, but MCA would also be entitled to take legal action against the Company and its Directors/officers. So, its a boon for defaulting companies and disqualified directors to set their company’s compliances right by filing the overdue annual filing documents under the scheme before 31.03.2018 to save themselves from hefty additional fees and penal actions. Disclaimer: The above views are the personal views of the author and the Readers are requested to exercise their due diligence before taking action.